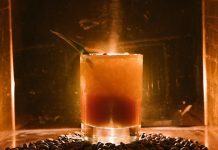 Summer is headed for fall, and temperatures usually soar this time of year in Louisville, but here is a whole month worth of cool beverages to taste in the lovely air conditioning at Westport Whiskey and Wine. you can register for any event on their web site. Wednesday, 1 August, 6:30 to 9 PM. Open Bar Night. A great evening to taste some hard to find whiskey and to just have some fun. We will offer 10% off any pour in the bar. Discounts on flights of bourbon. Conundrum Wines by the glass. Thursday, 2 August, 7 PM. Global Wine Tasting with Jim Clayton of Gonzales Byass. This a great opportunity to travel the globe to taste some great wines at really good prices. From Austria, Spain, Chile & California, you will experience 8 different wines, red, white and bubbles. Reservations, please. $25. Friday, 3 August, 6:30 to 8:30 PM. Mill Creek Brewery Tasting. Join Sam Howell from Tennessee’s Mill Creek Brewery. Their philosophy of “Less Fuss, More Beer,” speaks to a fun evening of tasty beer. No Reservations needed. $5. Tuesday, 7 August, 7 PM. Blind Whiskey Tasting Ours vs. Theirs, with Chris Zaborowski, Executive Bourbon Steward. We are issuing a tasting challenge. Are you able to pick the commercial bottle vs. the WW&W single barrel selection? This will be a fun tasting as we line up 5 different whiskey labels with the selections that we made of those brands. There will be prizes for those who get the most correct answers. Reservations, please. $15. Wednesday, 8 August, 7 PM. Wilderness Trail Distillery Spirits Tasting with Jarod Smith. They have a pioneering spirit at Wilderness Trail Distillery, just like the settlers who followed the path Daniel Boone blazed into Central Kentucky. In keeping with their location in the birthplace of Kentucky, they like blending old traditions with the science of making Bourbon and other fine spirits. 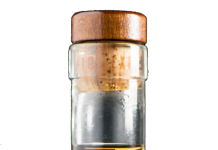 After years of working with distilleries around the world to provide advice and fermentation products, they launched their premium craft distillery in 2012 with a focus on making the highest quality Bourbon, Rye Whiskey, Vodka and Bourbon Barrel-Aged Rum. Their specialty is making unique spirits from locally-grown grains to ensure quality, and adding a healthy dose of science in the process. Reservations, please. $15. Thursday, 9 August, 7 PM. Stolpman Vineyards with Julie Defriend, Advanced Sommelier. Over 20 years ago, Founding Partner, Thomas Stolpman, discovered what he believed to be one of the greatest viticultural sites on earth. Hidden in the hills of California’s Central Coast, on a rare Limestone outcropping & unobstructed from the Pacific Ocean wind, this unique land is ideally suited to grow Syrah and Roussanne grapes. they are committed to preserving this natural environment for their vines through natural farming, dry farming, & sustainable employment. In the winery, they prefer native fermentation & minimal manipulation. What does all this truly mean? From our experience with the wines, they are quite yummy! Come taste for yourself. There will be 6 different wines presented. Reservations, please. $25. Tuesday, 14 August, 7 PM. Italian Wines & Food Pairing with Rudy Basile of Vias Imports. Rudy is a great presenter and his tastings are never disappointing. We will be tasting 6 wines from across Italy, whites and reds. And to make this an even more memorable event, we will be pairing the wines with charcuterie from North County Charcuterie from Columbus, Ohio. Reservations, please. $30. Wednesday, 15 August, 7 PM. Bernard Griffin Wine Tasting with Seth Williams of Tramonte & Sons. Barnard Griffin began in 1983 with borrowed grapes and a rented cellar. It has since become one of Washington’s most enduring and award-winning wineries. For this tasting there will be 6 wines, rose, white & red. Reservations, please. $25. Thursday, 16 August, 7 PM. Excelsior Wines, Concha y Toro Wine Education Seminar with James Kaiser. James will present 6 wines form Chile’s acclaimed winery, Concha y Toro, to include: Don Melchor, Terrunyo Cabernet Sauvignon, Marques de Casa Concha Cabernet & Carmenere and Gran Reserva Cabernet & Carmenere. Founded in 1883, Concha y Toro was the first producer to introduce Chilean fine wines made from French grape varieties. Today, Concha y Toro spans over a dozen estates located throughout the premier wine regions of Chile. Reservations, please. $25. Saturday, 18 August, 9 AM to Noon. Certified Bourbon Steward Training through the Stave & Thief Society. This in-depth program is designed so that once you’re a Bourbon Steward, you’ll be able to discuss America’s native spirit both confidently and accurately, as well as be able to make recommendations to friends, family, and others based on their individual taste and preferences. Join Executive Bourbon Steward, Chris Zaborowski in this hands-on 3-hour training that includes the basics of bourbon, including a bit of history, how and where bourbon is made, what makes bourbon unique from other whiskies. Each participant will receive a copy of the Certified Bourbon Steward Handbook that includes an online access code for your final exam. Upon completion you will receive a Stave & Thief Certified Bourbon Steward lapel pin. In addition, all participants will receive 10% off all courses at Moonshine University including the full day Executive Bourbon Steward training program. As a certified bourbon steward you also receive periodic invites and special offers for bourbon related events. Limited to 24 people. No Discounts apply to this class. $55. Thursday, 23 August, 7 PM. Jim Beam Tasting with Beth Burrows, Kentucky Bourbon Ambassador, Beam Suntory. Beth’s tastings have always been great fun and we expect no less with this evening’s event. Join Beth for a creative welcoming cocktail and then a taste tour of the Jim Beam Brands: White Label, Black Label Double Aged, Double Oaked, Bonded and Rye. Reservations, please. $20. Friday, 24 August, 6:30 to 8:30 PM. West 6th Brewery Tasting. Founded in 2012, West Sixth Brewing is located in a 100-year-old building called the Bread Box, historically used for the Rainbo Bread Factory, in Lexington, Kentucky. At West Sixth, they not only like to make good beer but the social impact they are able to make on their communities is a top priority. They support the direct work of non-profits through their Pay it Forward Cocoa Porter, Sixth for a Cause, Wooden Nickel, Pedaling for a Purpose. Come and join us for some great beer and a little bit of fun, too. No Reservations needed. $5. Tuesday, 28 August, 7 PM. Napa vs Sonoma Wine Tasting with Steve Patton of Trinchero Wines. Napa and Sonoma Counties represent some of best wines made in not only the US, but the world. Trinchero has ownership of wineries in both counties and through a blind, varietal comparison tasting the differences in the geography should become apparent. There will be at least 6 wines tasted. Would you be able to pick the right location for each wine? Come find out. Reservations, please, $25. Wednesday, 29 August, 7 PM. Klinker Brick Winery Tasting with Jordan Painter. Join Jordan as he conducts a tasting of all 8 wines from their award-winning winery. Great wine begins with a suitable climate and soil, both of which are found in Lodi. Sandy Loam soil coupled with the hot, cold exchange that graces Lodi from day to night creates a utopic environment to cultivate warm-weather varietals including Zinfandel, Cabernet and Syrah. Reservations, please. $25. Thursday, 30 August, 7 PM. Carol Shelton Wine Tasting with Tramonte & Sons’ Seth Williams. Carol Shelton has won Winemaker of the Year five times, has countless gold medals for her wines and was named one of eight Pioneer Women Winemakers of Sonoma County in 2005. She continues to win awards and accolades. This will be tasting of 6 wines from across California, including Dry Creek Valley, Rockpile, Russian River Valley, Paso Robles, Lodi & Mendocino County. Reservations, please. $25.